Here's Your Chance to Rewatch 'Avengers: Infinity War' Before 'Avengers: Endgame' Opens in Cinemas! I love the smell of freshly cooked burgers in the afternoon. At Charlie's Grind & Grill , they up the ante with fresh hand-crafted burgers. So famous and unforgettably delicious are their burgers, that they have gained a strong cult following of customers braving the Alabang traffic to head all the way to Kapitolyo, Pasig, just to get a whiff of that mouthwatering aroma before gorging down their sandwiches. Yes, folks. Charlie's is seriously, wickedly good. 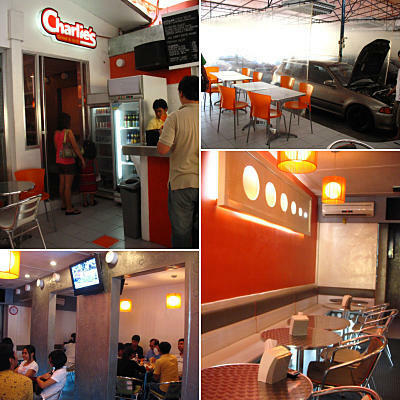 If you crave only for the freshest, most mouthwatering burger experience, come to Charlie's. Robby Goco tells us more about his restaurant and their signature hand-crafted, freshly ground burgers. Hand-crafted, freshly ground: these words aren't used often when talking about burgers, as most (if not all) burger establishments in the metro use processed beef (frozen, thawed, then cooked) for their patties. This notable freshness factor is what makes Charlie's Grind & Grill in a league of its own when it comes to their beef patties. Charlie's Grind and Grill is right next to a carwash! So who is Charlie? Charlie's Executive Chef Robby Goco of Cyma fame decided to name their restaurant after Charlie Nagreen, a.k.a. "Hamburger Charlie", known to be the American inventor of the 'portable meatball' which he sandwiched in white bread. And so, the burger was born. At Charlie's, they stick to the fact that this burger joint cooks, and does not 'heat and serve.' Everything is prepared the old and proper way, cooking your order from scratch. Their aptly named Fresh Fries (P60), for instance, are 100 percent hand-cut potatoes. We were able to go inside their kitchen to see for ourselves how their cooks painstakingly clean, prepare, slice and fry the whole potatoes. And of course, their masterpiece burgers are likewise: the beef is freshly ground upon order, using US Black Angus Brisket. The burgers are also served in whole wheat buns that are baked daily. The lettuce that they use are organic, and they make use of canola-based mayonnaise that is low in trans fat. 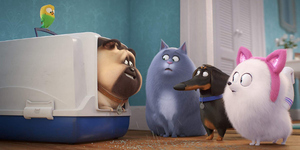 In short, you get all the comfort-food, tummy filling richness of 'junk food' with a healthier and more wholesome take. 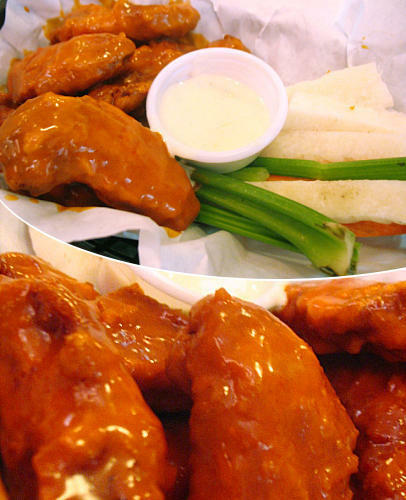 We begin our lunch with some Buffalo Chicken Wings (P150 - half dozen, P290 - dozen), which Chef Robby claims to be the best in town. These orange-tinged pieces are served with bleu cheese dip and crunchy veggie sticks, which complement the spicy chicken. I have yet to try out all the buffalo wings in the universe, but I can say that Charlie's version is definitely lip-smacking, spicy good. "We also have the best fish and chips in town!" Chef Robby adds. 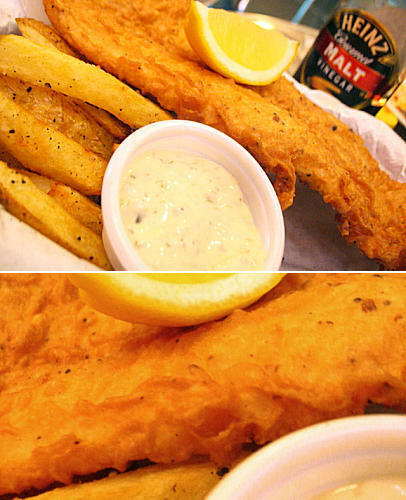 And with a claim like that, I just had to try their Fish And Chips (P180). Let me tell you, you get a big slab of dory fried to an absolutely irresistible crisp. Munching into the outer part reveals white fish meat that is soft and is just the perfect partner for the chips (fries) that come along with it. Chef also suggests to eat it the traditional way with tangy malt vinegar, which is available upon request. Thumbs up for this dish! Before devouring their famous burgers, we got to taste a couple more favorites, the Snap Dawgs Chili & Cheese Dawg (P150 - Single, P250 - Double) and the Meat Balls Marinara on Pasta (P250). 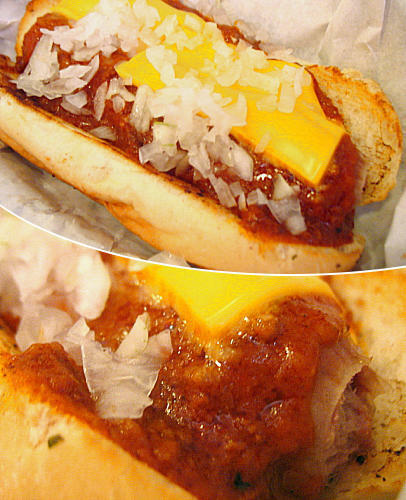 Their version of the hotdog is homemade with a distinct meaty-salty flavor, the stuff real hotdogs should be made of (not the glowing-red, supermarket-sweet kind). It is 100 percent beef, and as the name suggests, the texture is more compact, giving you a little fight with a snap when you bite into it. 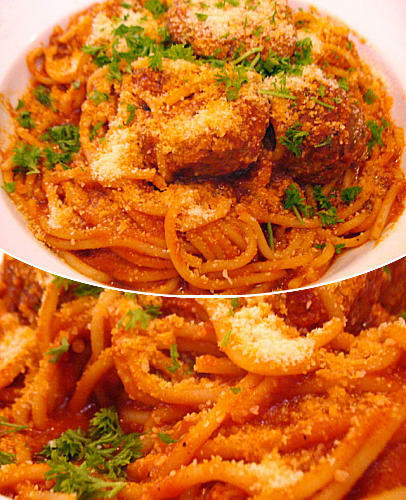 The meatballs in spaghetti is deliciously comfort-food, with five golf-ball sized meatballs coated in tangy, spicy tomato sauce. You can choose to have the meat balls served on Submarine (P230) instead of pasta. Earlier that day, we saw how they prepared the vegetarian Shroom Sandwich (P250) in the kitchen, and it was enough to make our mouths water. Take a huge, burger-like portion of portabello, and roast it in garlic. 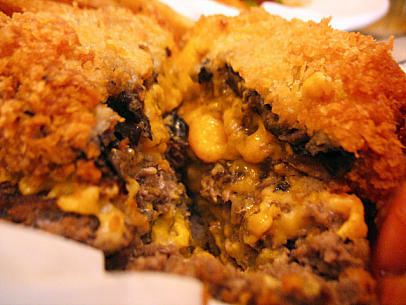 Stuff it with thick slices of cheddar cheese in the middle, then deep fry it with bread crumbs until golden brown. That, my friends, is heaven, I tell you! Now, take the aforementioned deep fried portabello, and then serve it with Charlie's signature black angus burger patty, hand-crafted and cooked upon order. And what have you got? An explosion of burger goodness, that I am at a loss for words, reduced to a jaw-dropping action. Chef Robby was perfectly right when he highly recommended us to try the Panko Crusted Deep Fried Cheese Stuffed Portabello Mushroom with Black Angus Burger Patty (P350). A mouthful of a burger name to say, which is just fine since you will surely have to use more than a mouthful to down this baby. You get your basic Charlie's burger notches higher in awesomeness with this item that is a prime example of good marriage in textures and flavors. We had to slice the huge burger into smaller pieces to comfortably eat it. A bite into the burger will give you the initial softness of the bread, then later on hitting the crunch of the portabello's crust. 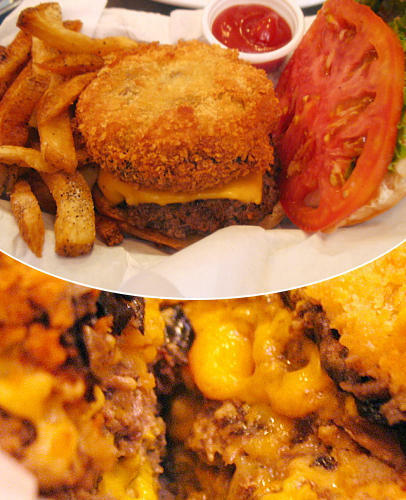 Biting deeper into the magnificent burger, you will be introduced to the cheesy center of the mushroom. Then finally, the very tender, oh-so-perfect beefy patty that just begs for your teeth to sink into it. The entire burger was so tasty, you don't even need to add the ketchup and all other condiments. It was amazing! You can choose to try out their burgers in a more simpler form, minus the portabello, with Black Angus (P150; with fries P175). Just when I thought our lunch was over and I was left on a high, Chef Robby tells us to leave some space for just a couple more items. Oh my, we couldn't say no. The Pulled Pork Sandwich (P145; P170 with coleslaw or fries) landed on our table and we got down to slicing it in bite size pieces for sampling. The the meat is soft, and its taste is just like baby back ribs: sweet and smokey with a little tangy kick. The pulled pork was served with monterey jack cheese so it was extra rich, which fit right in the flavor mix. 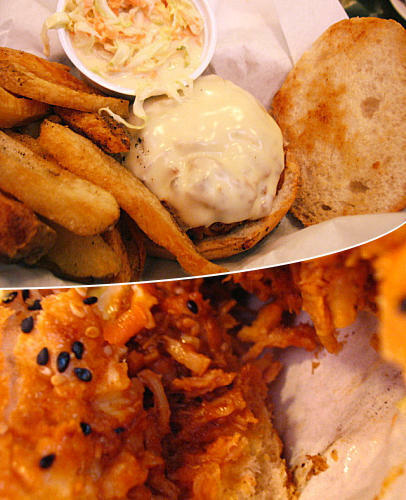 The siding of coleslaw was also a good and healthy match for the very flavorful sandwich. Lastly, we were served a big Cheese Steak. At Charlie's they use local (Batangas) triple A sirloin for the meat. Our sandwich was huge (and it was the smaller order!). They used a flat, crispy white bread and loaded it with lots of caramelized onions and sautéed peppers. It was a happy mess to eat with the gooey warm cheese topping and a smokey rich ranchero sauce. Slice the jalapeno and add it onto the mix for a spicy treat. 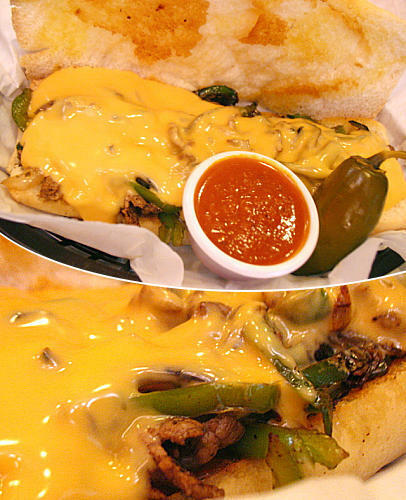 You can choose between the Fili (P220, hungry size), or the Philly (P380, starving size) Cheese Steak. I'm happy to share that so far, none of my burger experiences can eclipse that of Charlie's. The big difference, really, is in the meat. You will definitely taste the difference between a frozen processed patty and a freshly handcrafted one. And definitely, this is the reason why you will come back for more. 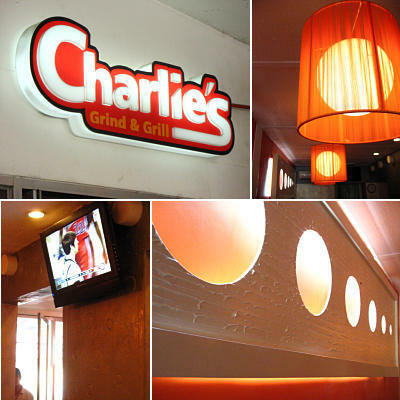 Charlie's Grind & Grill makes an indelible mark with their obscenely delicious burgers. So if you've declared yourself a burger lover, then you must head on to Kapitolyo because you will finally meet the beauty queen of burgers.